Pairing Fox's film and TV franchises and regional sports assets with Disney's properties would create a colossus. But some key questions are still unanswered. Pairing Walt Disney Co. (DIS - Get Report) with Twenty-First Century Fox Inc.'s (FOXA studio assets hardly spells a death knell for Netflix Inc. (NFLX - Get Report) , but should make for a more intriguing battle in a couple of years. And gaining control of Fox's regional sports networks could do wonders for the appeal of Disney's planned ESPN streaming service. But some important questions still need to be answered. And chances are that Disney hasn't worked through all of them itself. According to reports, Disney is close to a deal -- potentially worth over $60 billion -- to buy all of Fox save for Fox News, Fox Business, Fox's broadcast networks and Fox Sports. Fox's TV and film studio assets would be acquired, as would the Star India TV network unit, Nat Geo and Fox's stakes in Hulu (30%) and European pay-TV giant Sky (39%). A $14.1 billion deal through which Fox would buy the 61% of Sky it doesn't yet own awaits regulatory approval. Disney's shares are up about 6% since the first report of a potential deal arrived on Nov. 6. Thanks in part to a broader tech correction, Netflix's shares are down 7% over that time. They're still up 50% on the year. One streaming-related move that's practically a given if a deal happens: Marquee Fox film and TV franchises will be added to the streaming service Disney plans to launch in 2019. That service is already slated to have exclusive streaming rights for Disney, Pixar, Marvel and Star Wars films once a deal with Netflix expires at decade's end, as well as feature Disney Channel and original shows. With Fox on board, Disney could add film franchises such as X-Men, Fantastic Four, Avatar, Planet of the Apes, Home Alone and Die Hard, as well as TV franchises such as The Simpsons, Futurama, X-Files, The Americans, Sons of Anarchy and American Horror Story. That clearly spells a more serious rival to Netflix, particularly in terms of the service's ability to appeal to both adults and kids. Moreover, Disney, which has said its streaming service will be "substantially cheaper" than Netflix's when it launches, could decide to pull from Netflix the Fox shows that the streaming giant still has access to. Reed Hastings & Co. likely aren't panicking: Netflix's 109 million-and-growing subscriber base allows it to finance a content budget that will be in the $7 billion-to-$8 billion range next year, and it has shown quite the knack for using the data gleaned from its billion-plus hours of weekly viewing to both personalize video recommendations and inform its content-financing decisions. 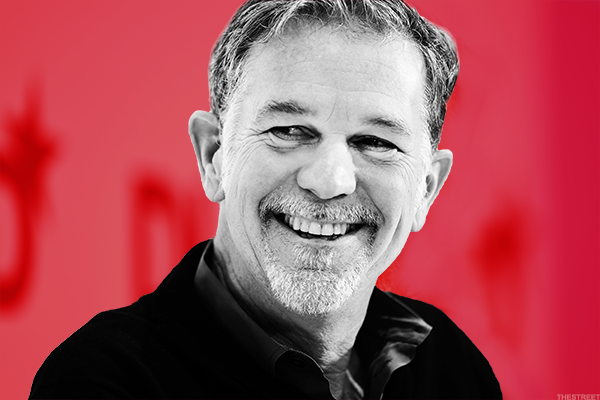 Moreover, Netflix has over two years to prepare for life without Disney's content, and will presumably use that time to make big investments in animated, sci-fi and kids-friendly content. And with Netflix's HD streaming plan still priced at just $11 per month following a recent price hike, chances are that much of its user base will continue looking upon the company's service as a great deal. That said, some consumers worried about how their streaming bills are piling up, and who have access to Amazon.com Inc.'s (AMZN - Get Report) Prime Video via Amazon Prime subscriptions, could decide they need to choose between Netflix and Disney. And Fox's content certainly bolsters Disney's sales pitch to those consumers. On the other hand, some existing Netflix subs who remained signed up for pay-TV services could very well see the launch of Disney's service as a better argument for cutting the cord than for cancelling Netflix. Meanwhile, adding Fox's 30% stake in Hulu to Disney's 30% stake will give Disney control of a streaming service that had 12 million subscribers as of last year, and which this year launched an online TV service. But it's not a given that Disney will maintain a majority stake, given how doing so would almost certainly unsettle Hulu investors/content providers Comcast (CMCSA - Get Report) (NBCUniversal) and Time Warner (TWX -- all the moreso given Disney's plans to launch a rival service. Paring the Hulu stake to 49% or lower would likely go a long ways towards keeping Comcast and Time Warner happy. One could also see Disney promising to continue licensing popular Disney and Fox TV shows to Hulu, whose unmatched TV-show library has been a key selling point, even as it makes many of its film franchises exclusive to its new service. On the live-sports front, Fox could do wonders for Disney's 2018 plans to launch an ESPN streaming service, thanks to its control of 16 regional sports networks (RSNs) that collectively have broadcast rights for dozens of big professional and college sports franchises. Disney has clearly been wary of damaging ESPN's very lucrative pay-TV affiliate fees through its streaming service: It previously said the service would feature MLB, NHL and MLS games, but said nothing about NFL or NBA games. Disney could conceivably offer the sports content covered by Fox's regional networks -- minus the content covered by the regional Fox network a user has access to via local pay-TV services -- to users of its ESPN streaming service. But it isn't yet clear which sports teams and leagues Disney would be able to support in such a way through a nationwide streaming service, or to what extent. Particularly given how streaming all of the games of a dozen-plus franchises from a major sports league would threaten league-wide subscription services such as MLB.tv Premium and NBA League Pass. Nonetheless, adding Fox's RSNs to its stable should do much to grow the appeal of Disney's planned ESPN service to those already getting ESPN's pay-TV networks. Just as adding Fox's film and TV franchises should greatly strengthen the planned Disney-branded streaming service, even if some of Fox's content also appears on Hulu and other platforms. Look for Disney to clarify its streaming plans after a deal has been announced.